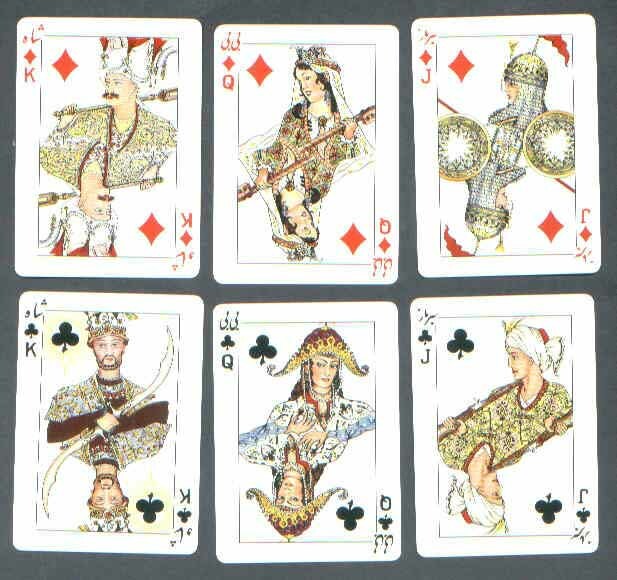 Double set of playing cards called "Historic Iranian Designs". 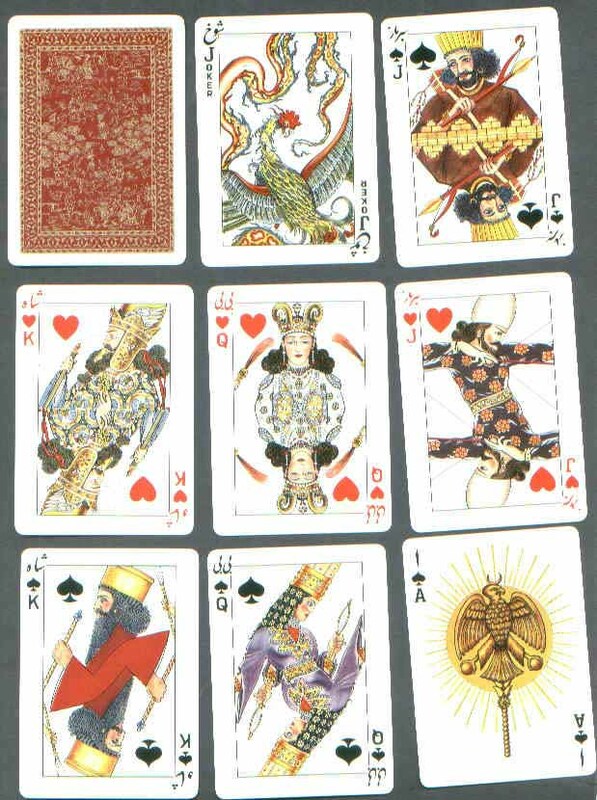 This deck was made in 1962 and consists of 52 cards and 2 jokers in each set. 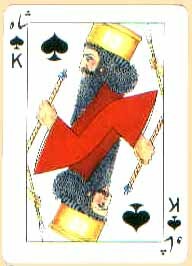 Ccard designs (1) (2) (3). 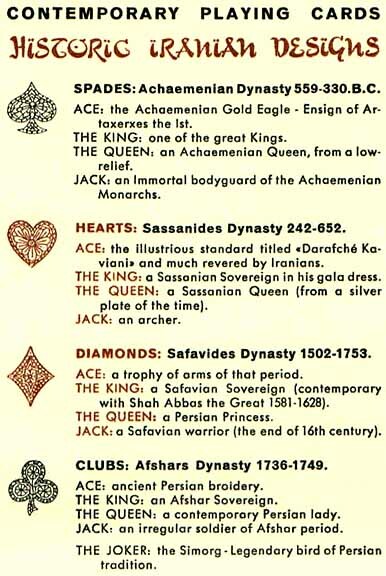 The deck of cards is listed in Fournier's book of playing cards as #782 and in MGM catalogue #242.